While there are many Kris Morningstar fans in Los Angeles right now—especially since the opening of Terrine, where the chef dazzles Angelenos with California brasserie dishes—the roll of number-one fan goes to Morningstar’s former sous chef Viet Pham, who took over at Ray’s & Stark Bar at LACMA when Morningstar exited last year. 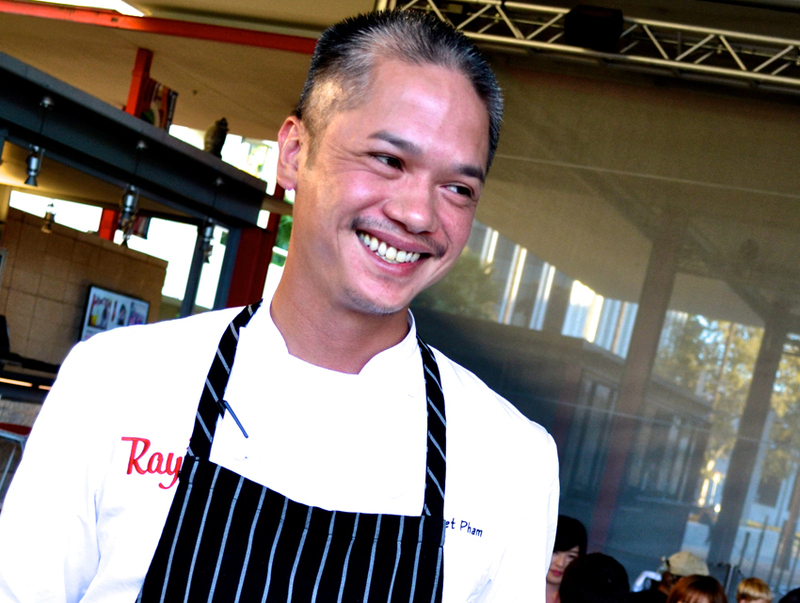 Pham’s professional career officially began with Morningstar hiring him at Casey’s Irish Pub Downtown the day after Pham’s birthday in 2006, just a short time after his graduation from Le Cordon Bleu in Pasadena. When Morningstar instructed him to be at the pub by 7:00 a.m., Pham showed up at 6:30 a.m. However, if it wasn’t for Pham’s sister Trang registering him for culinary school after a fateful Thanksgiving dinner in 2004 when he lamented how miserable he was with his computer engineering job, there likely would be no chef Viet Pham. When I asked Pham which direction he’s taking Ray’s now that he’s at the helm, it’s unsurprising that his answer touched on family and heritage. Of course, Pham will always have a place for his mentor Kris Morningstar on the Ray’s & Stark Bar menu, too. Just ask for the frites or agnolotti. Next articleAsk Chris: I Heard There Is a Secret List of Rent-Controlled Apartments Near the Beach. How Do I Get a Copy?